All installers who operate in states where HUD administers the Manufactured Housing Installation Program are required to hold a HUD Installer License. In order to become licensed, installers must meet certain experience or education requirements, complete a HUD-approved training program, maintain adequate bond or letter of credit and insurance per program requirements and submit an application form, the HUD 307. When submitting the application you must submit all supporting documents. If approved, the licenses are valid for 3 years and individuals will receive notice to renew their license 90 days prior to the license expiration date. In order to renew a license, the licensee will need to take 8 hours of approved continuing education. The Licensee will be provided information on their education options when they receive the notification to renew their license. See below for information on installer training options and the steps needed to apply for your HUD Installer License. 1. Proof of completion and passed status of a HUD-approved installation training course. 2. Proof of required experience, education or self-certification. 3. Copy of Insurance and Bond or Irrevocable Letter of Credit per the program requirements. See application instructions for more detail. Download a copy of the application instructions here . Click here to submit your HUD 307 Installer License Application and supporting documents. Please allow up to 4 weeks to process your application and receive your license. Need to find a bond provider? Click here for a list of companies that can issue the proper surety bond. Need to find or verify a HUD Licensed Installer? Please click here for a list of licensed installers. The purpose of manufactured housing installation training programs are to ensure that there is a minimum level of competency for manufactured home installers within the industry. According to 24 CFR Part 3286, all initial training programs must be 12 hours long, with 8 hours dedicated to installation/construction issues and 4 hours dedicated to the code and regulations. ​The HUD Installation License must be renewed every 3 years. In order to renew, the HUD-licensed installer must take 8 hours of approved continuing education. There are many continuing education options available, including in-person and online courses. Follow the links for each program to find out more, take the course or schedule a class today. Information on the process for renewing your HUD Installer License is available here . The below have been approved by HUD to offer continuing education course(s) only. - Online Training for Manufactured Home Installers by the Certified Training Institute (CTI). Online video course that includes mobile-friendly features. Click here to access the training or call 1-800-727-7104. The below have been approved by HUD and offer BOTH initial and continuing education courses that are required to apply for a HUD Installer License. An in-person training available to any government, state or entity that would like to sponsor a session. - Industrialized Housing Institute (IHI) provides HUD approved installer training and continuing education by Patrick Lewis. Click here to visit the IHI website. An in-person training can be sponsored by any person, state, government or entity wishing to provide installer training. Training is offered to manufactured home installers as well as municipal code officials and retailers. It is the responsibility of HUD Licensed Manufactured Home Installers to ensure that all the manufactured homes they install are inspected by a qualified inspector. The HUD 309 Form is required to verify the installation and inspection and should be signed by both the HUD-licensed installer and qualified inspector. This form must be completed prior to home occupany. Upon completion, the Installer must supply a copy to the retailer of the home and HUD. You can find more information on inspector qualifications on the inspectors page . The HUD 309 is available here . 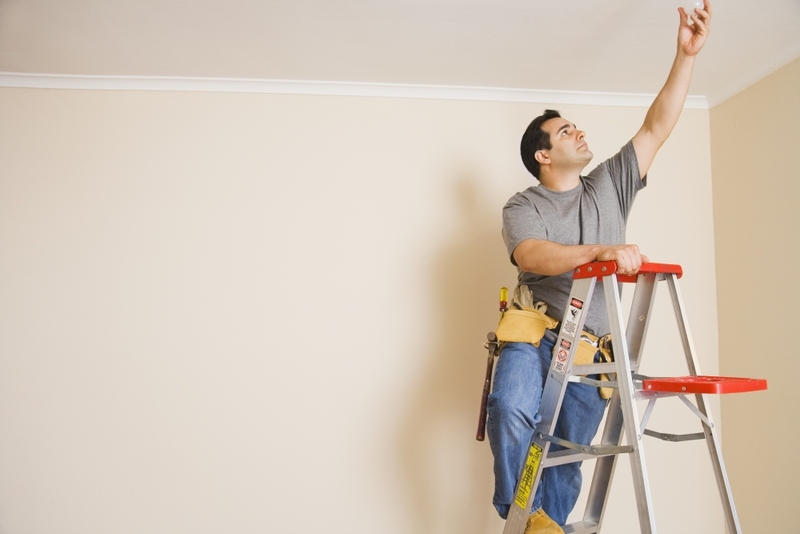 Programs may apply to become HUD-approved installer training programs. Any program wishing to become approved must be taught by qualified trainers as outlined in 3286.305 and 3286.307. Training programs must include at least 12 hours of training, at least 4 hours of which must consist of instruction on the federal installation standards, including specific instructions outlined in 24 CFR Part 3286.308. For cirriculum requirements for continuing education programs please contact us. Any program wishing to have their curriculum and trainers evaluated must complete and submit a HUD 308 for review. In addition to the application, provide a course syllabus and training materials as applicable. We are available to discuss your program at any time prior to application.